Pioneer released in Japan 2 new Blu-Ray players with the entry level BDP-330 and the High-end BDP-LX53. Technically similar, both models feature PQLS (Precision Quartz Lock System), Dolby TrueHD, DTS-HD… as well as BD-Live, Basic networking with support of RSS and YouTube Video and even the possibility of accessing certain files via USB. While only the BDP-LX53 has enhanced audio system, both models come with iControlAV which via the comfort of your iPhone or iPod acting as enhanced remote allows you full access to and control of your Blu-Ray player. The Leica V-LUX 20 has been officially announced. Features included in the camera include a 12.1 megapixel sensor, 12 times zoom and GPS tagging. The camera is also able to capture video in a HD resolution of 720p. The 12x zoom is optical that is provided by the 4.1-49.2mm f/3.3-4.9 lens. 4x optical zoom is also available on the camera. The V-LUX 20 is Leica’s first camera that uses GPS tagging and allows for GPS co-ordinates to be captured and stored in the image EXIF data file allowing you to map where pictures were taken. As well as capturing and saving the GPS coordinates the camera also stores the local time that the images were captured. 500,000 points of interest are to be found in the camera that covers 73 countries allowing you to find something nearby while travelling. If the camera is connected up to the web to transfer pics, services like Google Maps, Google Earth and others can be used to tag where images were taken on a map and if required, they can be shared around friends. A three inch display can be found on the device. The screen is LCD and can show 460,000 pixels and is said to be extremely bright showing sharp colours. 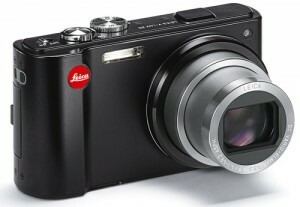 The Leica V-LUX 20 will go on sale in the UK in May this year and will have a suggested retail price of £495. iHome’s first ‘app-enhanced’ speaker dock for the iPhone OS that combines an interactive app with a dedicated bedside alarm clock, providing users the most connected and engaging sleep experience available. Just under 2.5" in diameter, this stone shaped audio accessory supposedly converts a variety of surfaces into a large speaker using vibrational dispersion. Compatible with your mobile phone, mp3 player, laptop, or anything with a 3.5" audio out connection, the Vibe was designed for times when lugging a set of speakers isn't an option, and you don't want the tinny-tiny sounds from a laptop or mobile device. One should definitely not expect audio performance anywhere near the neighborhood of discrete audio speakers...even compared with the cheapest models. But for its size, the $69.95 TuneBug Vibe might be a decent portable solution, especially for public presentations. We're not going to pass judgment until we get our hands on one, but we're relatively comfortable depending upon a good set of headphones for on the go, with real speakers for home use for now.